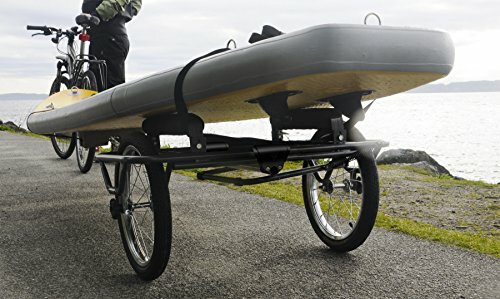 Our ATC serves as the base for an innovative cart that allows you to carry canoes, kayaks, surfboards, SUP boards and sailboards with your bike! 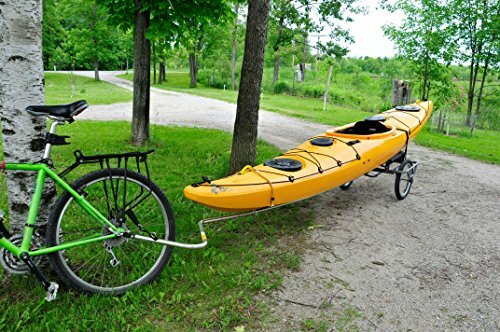 It has a patented hitch that securely holds it to your bicycle’s rear hub, with ready to use quick-release levers, a frame made from lightweight anodized aluminum and stainless steel hardware. 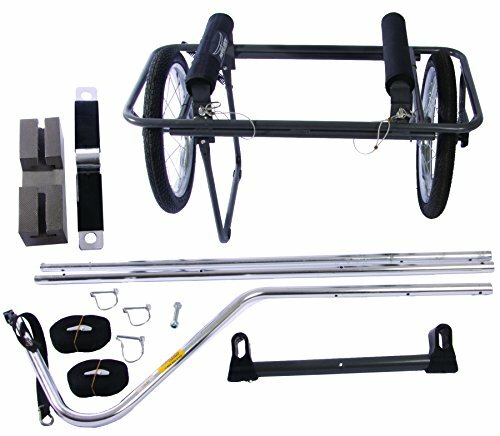 The Go!Cart can handle items up to 15 feet long and weighing up to 75 pounds. Straps are included. The Go!Cart can handle items up to 15 feet long and weighing up to 75 pounds.